Media companies are learning that their future lies in the technology platforms that run their operations. When a prominent columnist like Ezra Klein leaves the Washington Post for a technology-driven upstart like Vox, it becomes clear that it’s all about the platform. “We were badly held back not just by the technology, but by the culture of journalism,” said Klein. But exactly how does a technology platform influence the culture and workflows of a media organization? How do editorial identity and curation strategies influence technology? This panel will discuss the ways that platforms — specifically content management systems — affect content, distribution, participation and competition, and are expected to handle a range of internal and external functions. 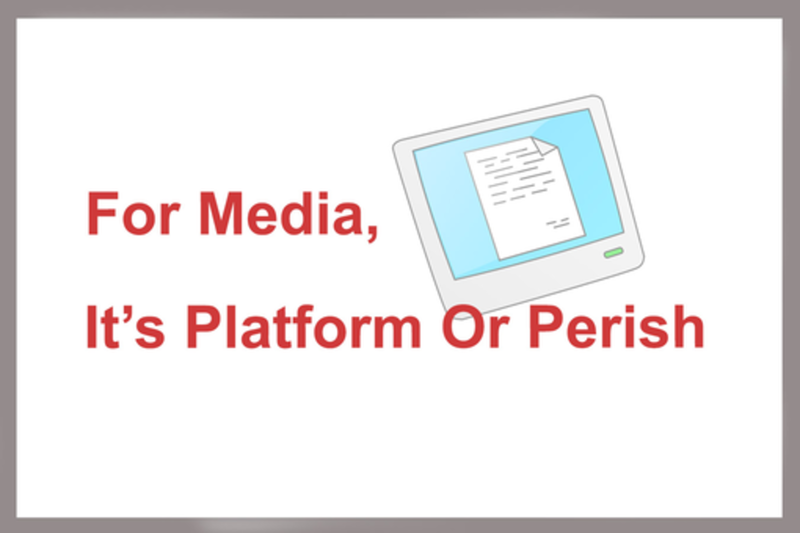 The platform determines who can publish, how content is shared and the ways the community can engage. Platform and network dynamics are not only experiencing an interplay with media culture, but culture at large. Cindy Royal is an associate professor in the School of Journalism and Mass Communication at Texas State University where she teaches Web design and online/digital/social media courses. She completed Ph.D. studies at The University of Texas in 2005. Her students have gone on to digital media careers for prominent organizations, including The New York Times, Austin American-Statesman, San Antonio Express-News, KUT Austin, Blackbaud, Spredfast, Homeaway, SXSW, T3 and more. Royal, an avid music fan, hosts a music blog at onthatnote.com and a tech blog at tech.cindyroyal.net. She writes for Texas Music Magazine and founded the Austin chapters of Hacks/Hackers and Online News Association. In 2013-2014, she was a Knight Journalism Fellow at Stanford University, developing CodeActually.com - a platform to teach journalists how to code. More information on her background and activities can be found at cindyroyal.com. Trei Brundrett is the Chief Product Officer for Vox Media. He leads the team responsible for developing Chorus, Vox Media's modern media platform designed from the ground-up to launch premium digital media brands and deliver content and community for a global audience of over 90 million. He was named to The AdWeek 50 in 2012, which wrote, "Under Brundrett’s direction, Vox Media has evolved into one of the most agile Web-based publishers." Trei has been instrumental in growing Vox Media from a collection of sports blogs to a ground-breaking media organization with leading brands and fast-growing properties in seven categories: SB Nation, The Verge, Polygon, Eater, Racked, Curbed and most recently Vox. Previously Trei led large scale internet strategy, advertising and development projects for Fortune 500 companies, political campaigns and media clients such as Microsoft XBOX, MD Anderson Cancer Center, Royal Dutch Shell, U.S. Senator Mark Warner and Texas Monthly.